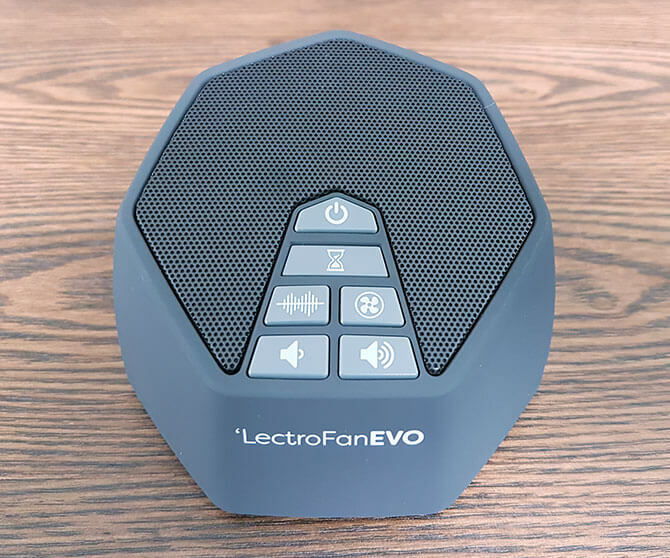 The LectroFan Evo is an excellent white noise machine if you’re looking for the widest range of white noise and fan sounds (22 in total), ranging from deep brown to intense white noise. It’s also the loudest device you’ll find, with excellent speaker quality and non-looping sounds. And if you need to listen in private, the inclusion of a headphone jack means you won’t disturb anyone else. The inclusion of a 3.5 mm headphone jack. Ocean and surf added to the 10 white noise and 10 fan sounds. Choice of auto-off timer from 1 to 8 hours. Separate buttons for the white noise and fan sounds. A memory of your last sound choice. No visual display to indicate the settings. 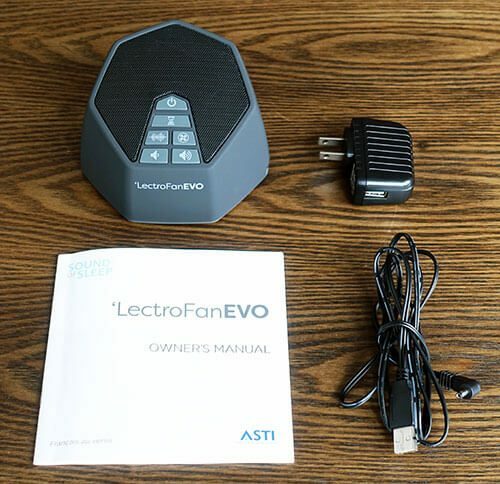 The LectroFan Evo is the new and improved white noise machine from Adaptive Sound Technologies. 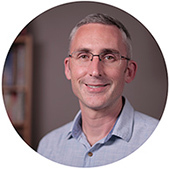 The original LectroFan has dominated the top spot in most online comparisons for years. So how did they make it better? Personally, the most welcome change is the addition of a headphone jack. This is great if you share a bed with someone who doesn’t like white noise, or if you’re studying/working with others around you. How well does it mask external sound? There’s no disputing that the LectroFan Evo is the king of sound masking in the white noise machine world. The speaker quality is remarkable for its relatively small size. And the maximum volume is so loud, there’s not a lot of external noise that your ear will be able to pick out. Going one step further, if you listen to the right white noise setting on a loud volume through decent headphones, you’re pretty much guaranteed to create a personal cocoon. However, listening to white noise on a loud volume isn’t generally advised by sleep experts and audiologists. So it’s great that the machine has incremental volume controls. I found that for TV next door and traffic, for example, I could put it on a mid volume and cut the sound out just as well. A common criticism of white noise machines is that you can’t use them to cut out snoring because the snoring is right next to you in bed. But with the option to use headphones, I found you can cut out snoring much better. Finally! For me, there’s no change to how much I like the individual sounds. As always with so many options, there are some I find relaxing, and some I’ll never listen to. And that’s fine – some people like deep brown or pink noise, whereas others like intense white noise or industrial fans. The LectroFan has a setting for everyone. I have to admit I wasn’t particularly impressed when I first heard the new ocean and surf sounds. They remind me of the LectroFan Micro’s ocean sound, which is obviously white noise and just doesn’t have a natural feel. I can see where the manufacturer is coming from though. In theory, you should be able to digitally recreate the chaotic sound of the ocean. Maybe I just have high expectations, but I still prefer a natural recording like you get in the Avantek or Sound+Sleep machines though. On a positive note, the ocean and surf are non-looping. And they have enough variety in volume, pitch, and distance so that it feels like you’re listening to something different. But really, the LectroFan is known for its high-quality digital production of white noise and fan sounds – not nature sounds. 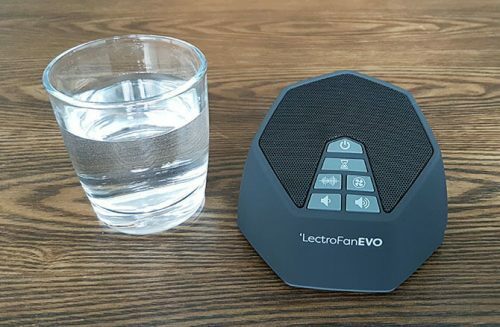 You can see in the photo below that the LectroFan Evo is a compact machine – not much wider than a small glass of water. Like the previous model, it’s compact and feels robust. Many sound machines have a cheap feel to them, but the LectroFan Evo looks and feels solid, without being large or heavy. It’s not as tiny as some of the ultra-small devices, but I definitely think it’s still compact enough to be considered portable. I also like the new angled design of the case and speaker. The trade-mark hexagon shape looks stylish, and the sound can be targeted towards you better than the previous upward-facing design. And with 5 choices of color, like white, charcoal and black, it’s a nice-looking device that will look good on a nightstand or office table. The old model has just one auto-off option of 60 minutes. The Evo gives you the choice of one to eight hours or continuous play. The system to change the timer isn’t the most user-friendly though. There’s one button to cycle through the times, and only a subtle change in the beep tone to tell you that you reached the maximum of eight hours. I think a light or LED screen would make this easier to set and check. On a plus note, if you turn it off with the power switch rather than the timer, when you turn it back on again, it will resume the sound and volume you last set. Both LectroFan models come with a standard plug and USB connector. So you can plug it into the wall or any USB socket. I was a bit disappointed that they didn’t add an internal rechargeable battery, so it still needs to be plugged in for it to work. This is my main criticism of the LectroFan Evo, as the option to use it wirelessly would be great. I was a fan of the original LectroFan, often using it while I work to cut out noise from outside. And in desperate times, I’ve used it to help me sleep on noisier nights. The LectroFan Evo addresses some of the very few criticisms of the original model, and only misses one – the lack of a rechargeable internal battery. I love that they included a headphone jack to preserve a bed partner’s sanity. And that they made it easier to cycle between the fan or white noise sounds. It might sound like a minor detail, but it cuts in half the sounds you need to go through to find your favorite. It’s also great that they increased the options of auto-off timers. I think this is particularly useful for nighttime use, as the previous choice of one hour or nothing was a little limited. So overall, the Evo remains my top choice of home and office white noise generators if you’re interested in the best variety of white noise and fan sounds, and don’t mind the lack of nature recordings.